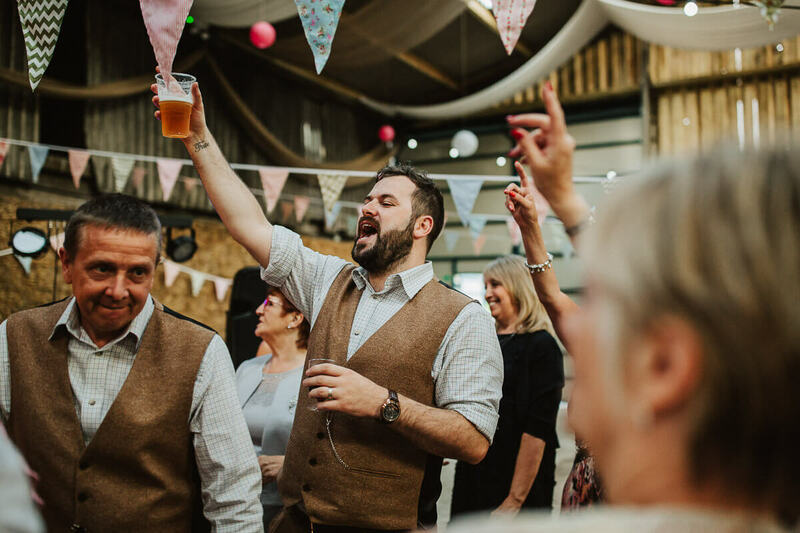 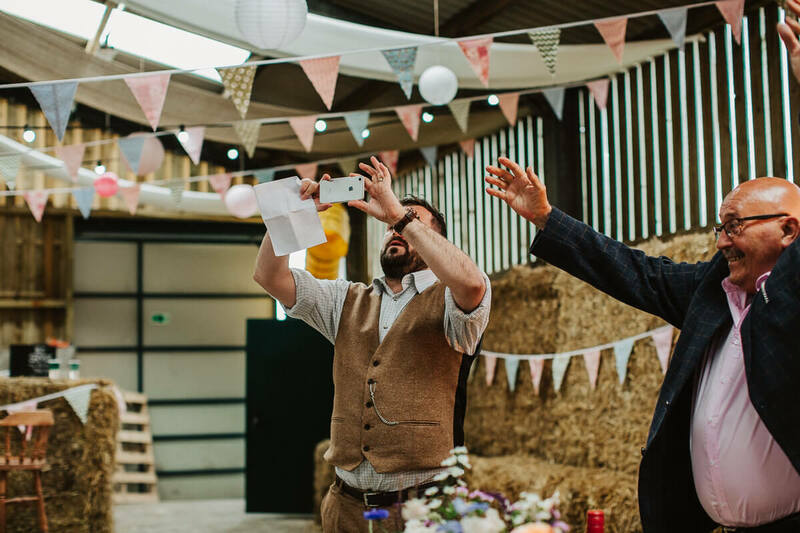 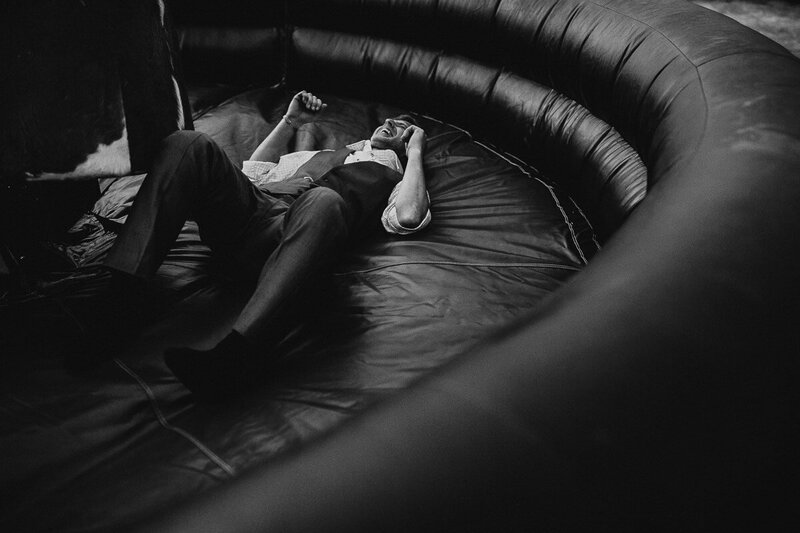 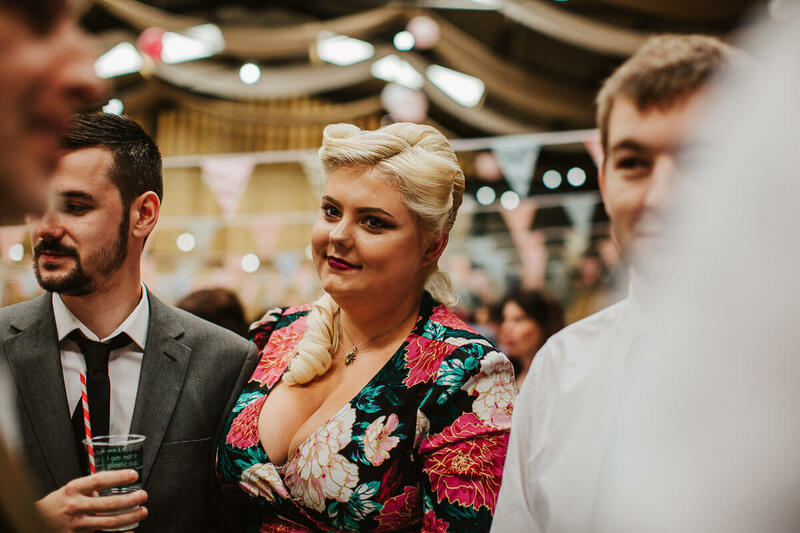 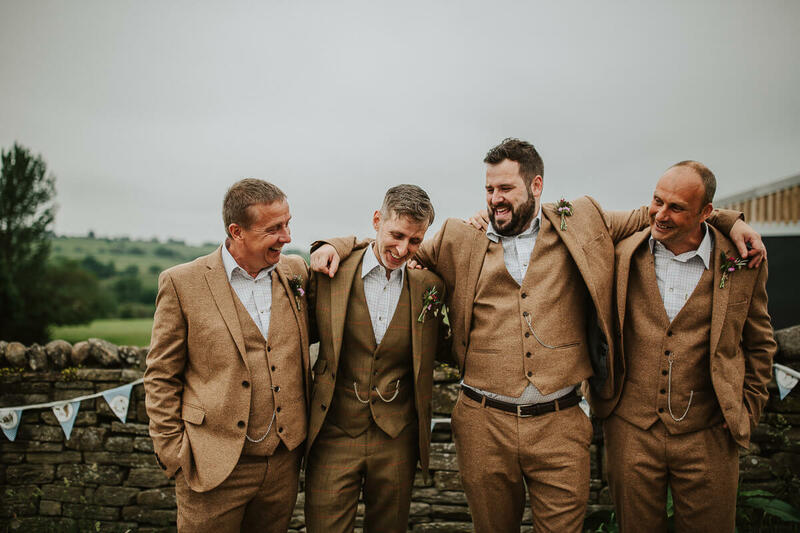 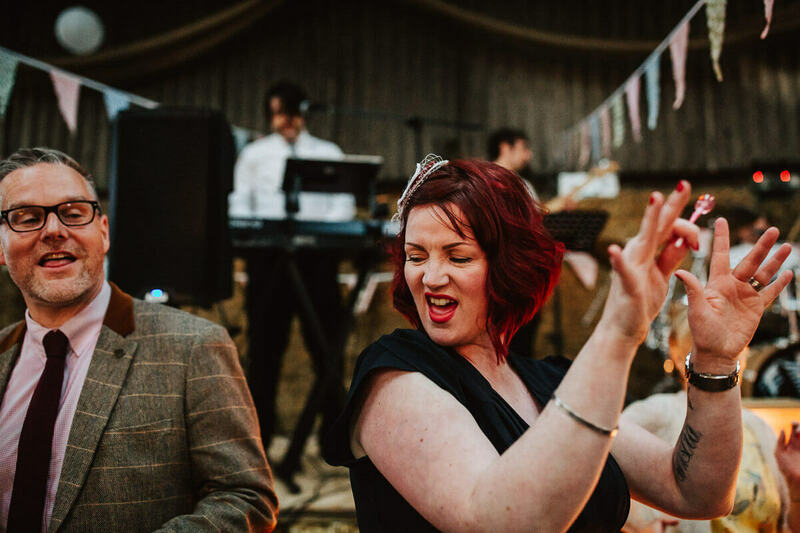 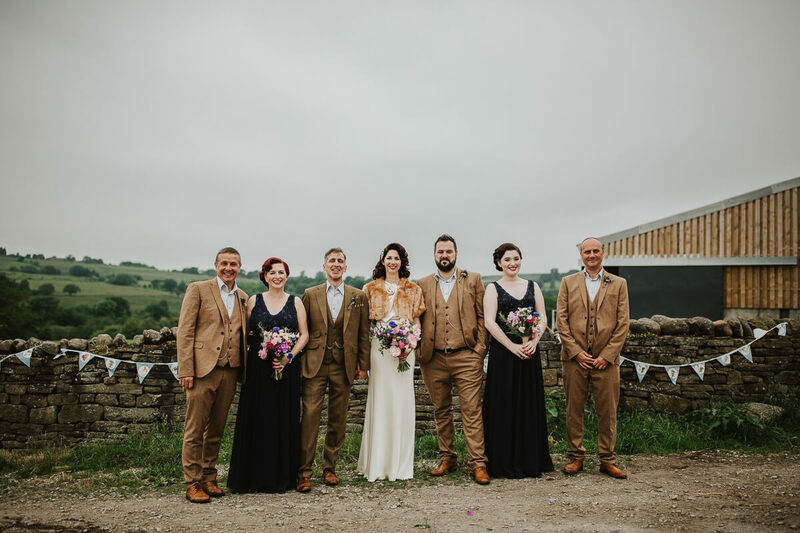 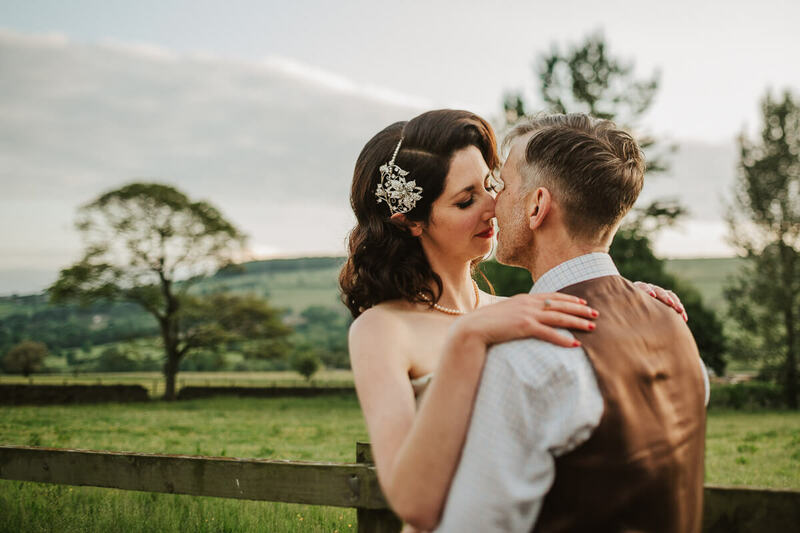 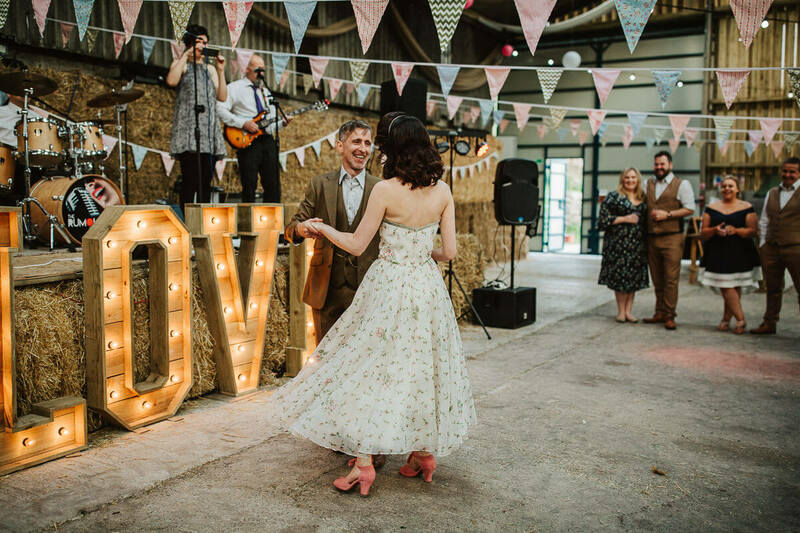 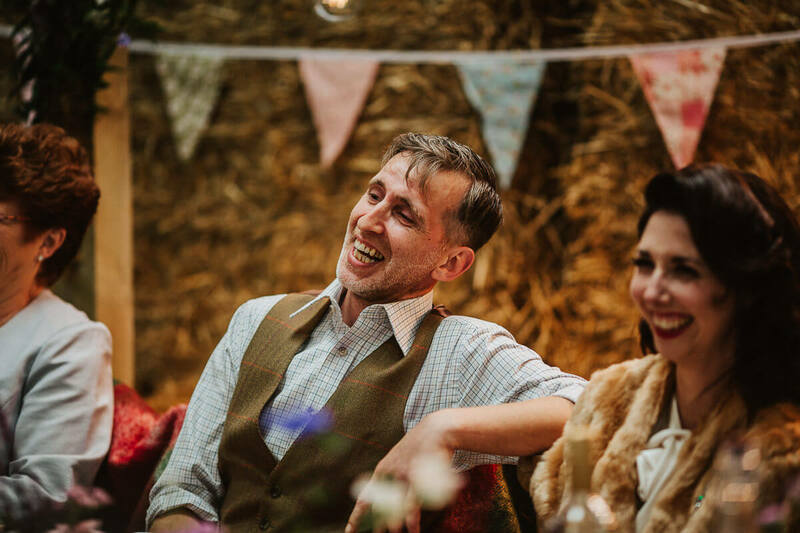 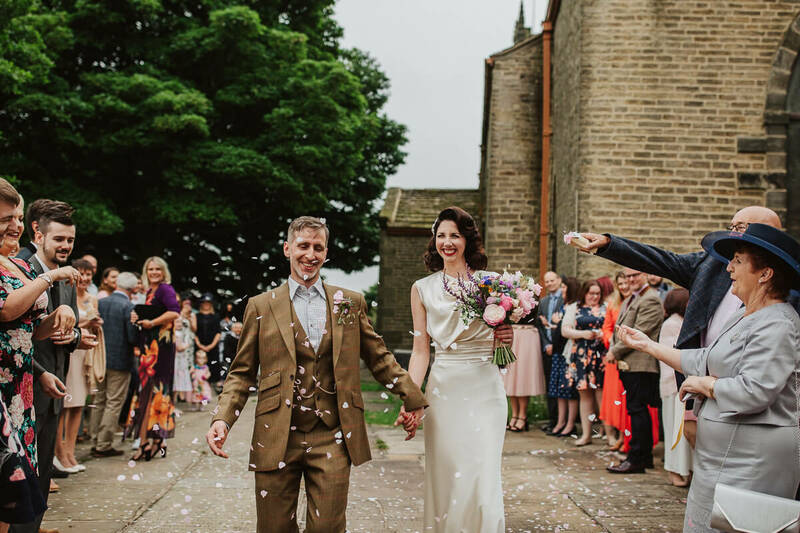 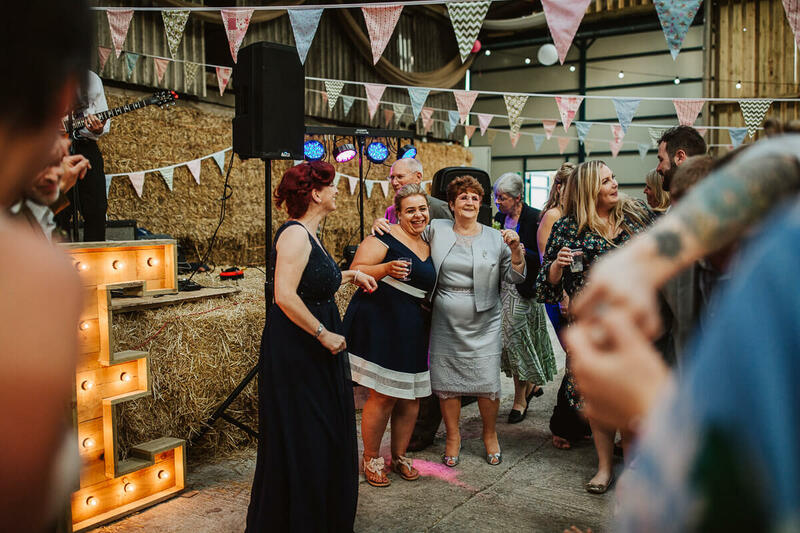 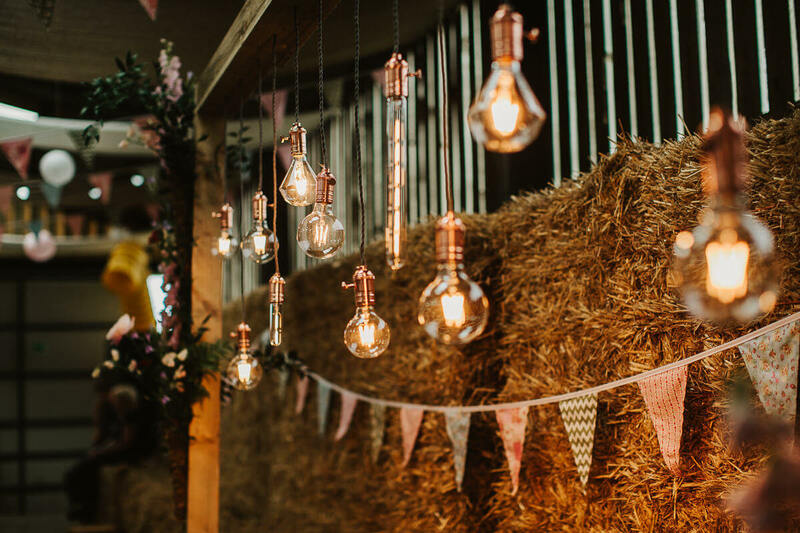 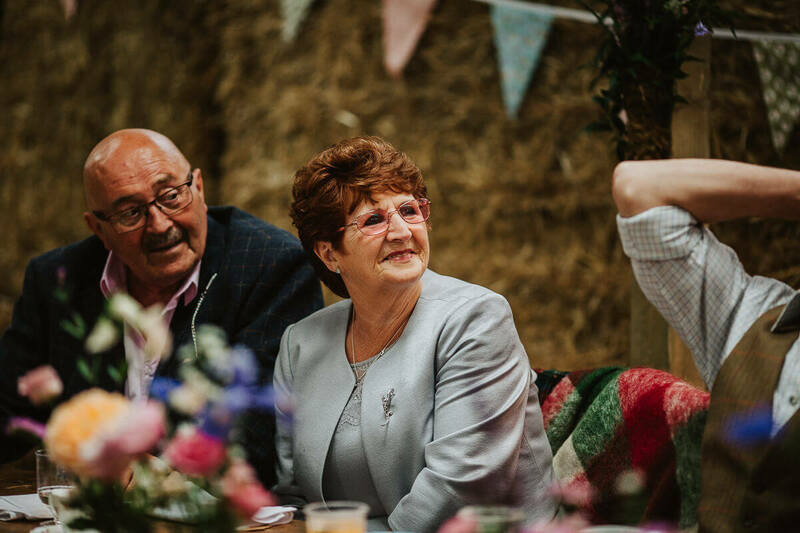 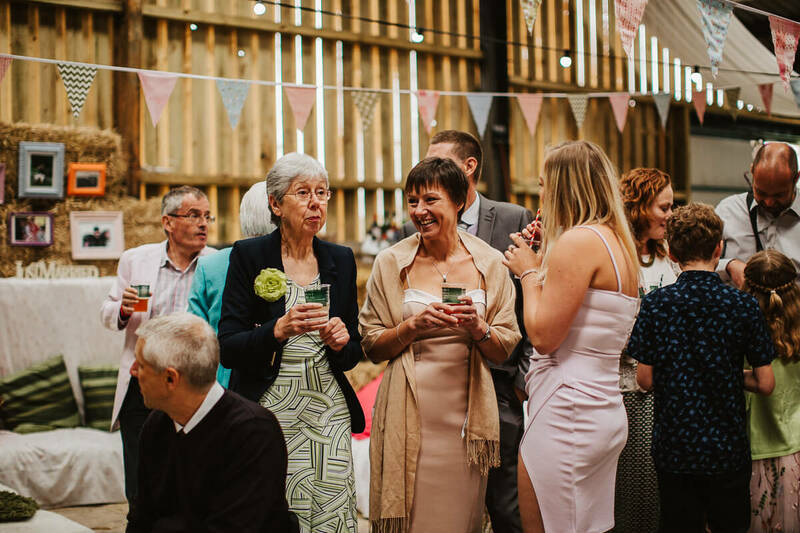 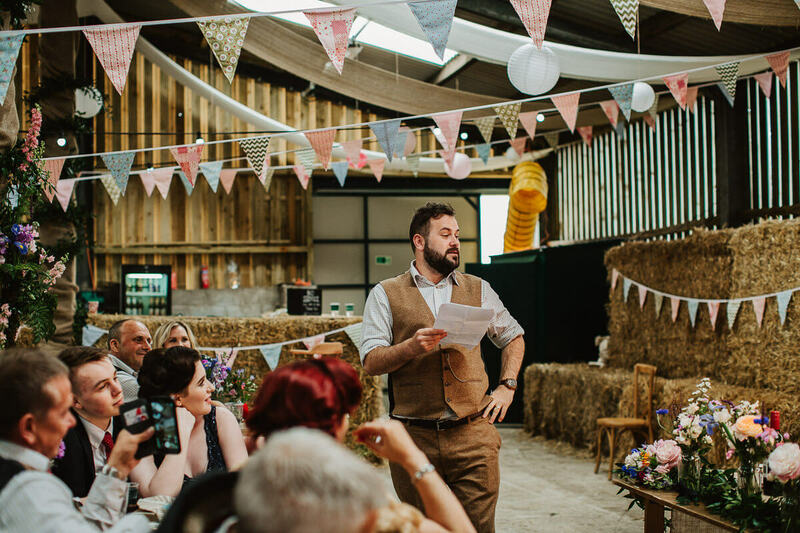 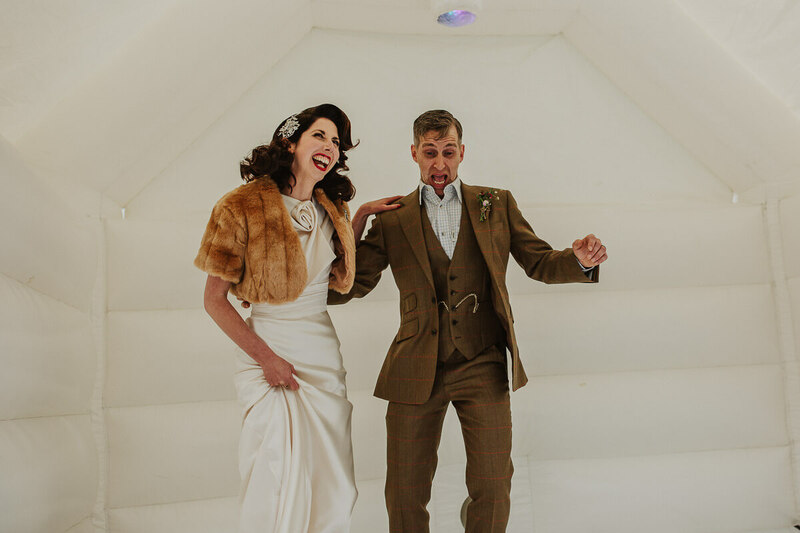 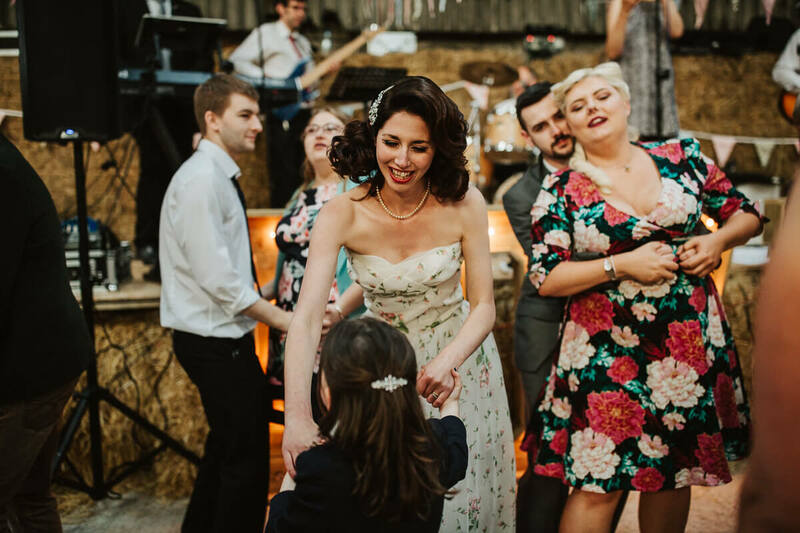 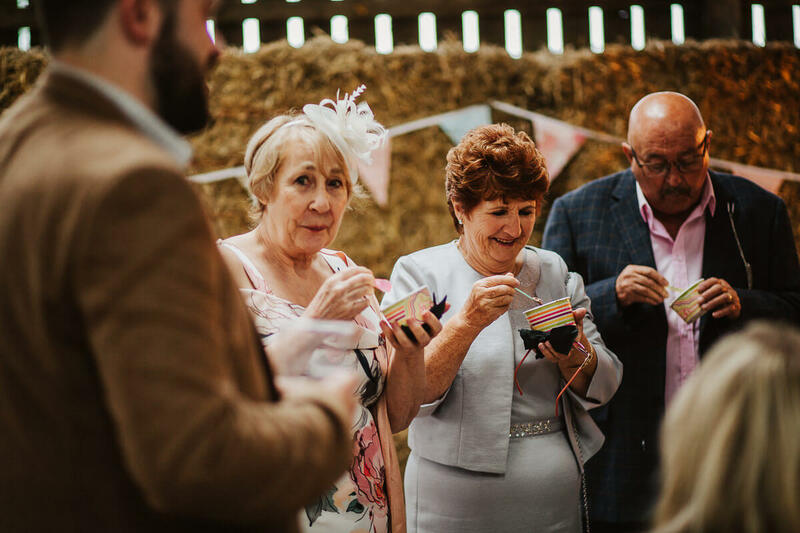 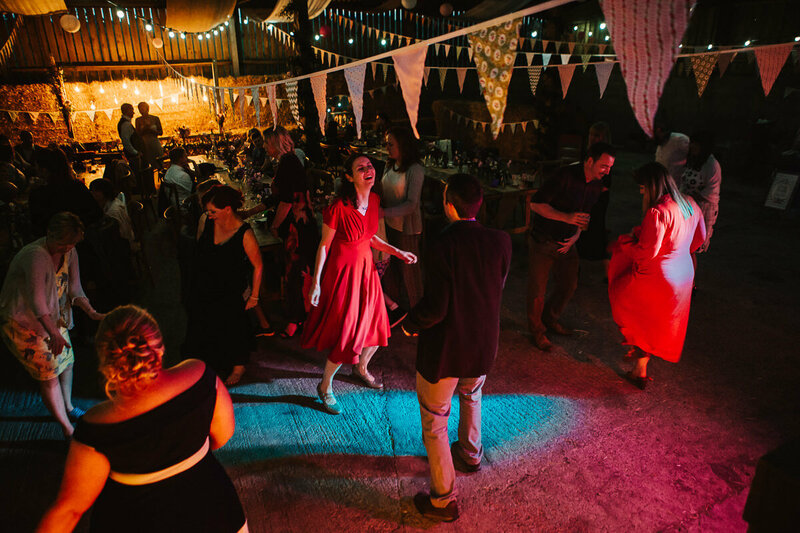 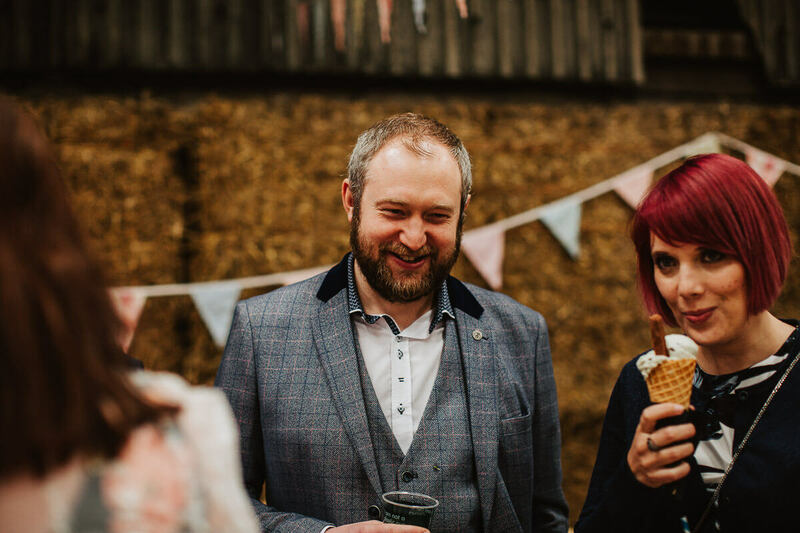 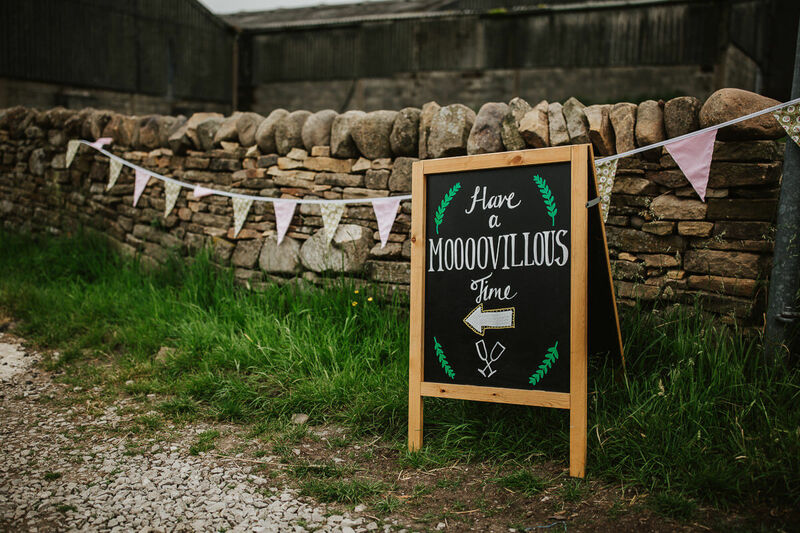 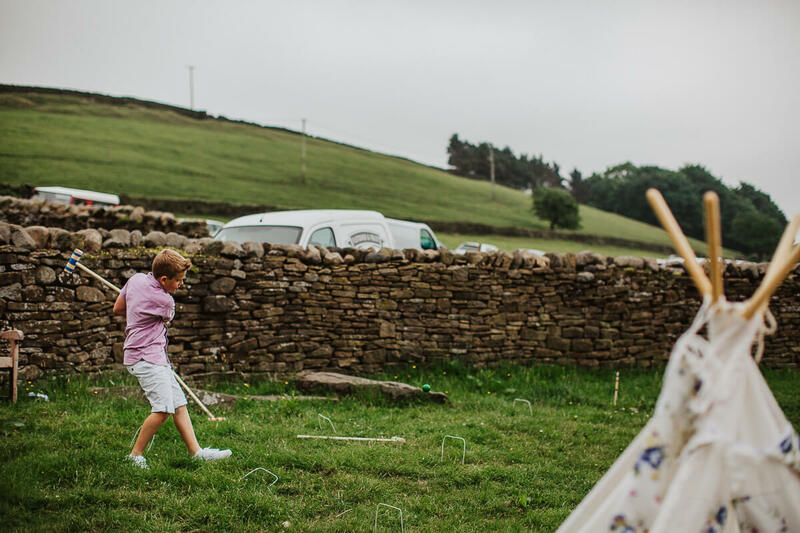 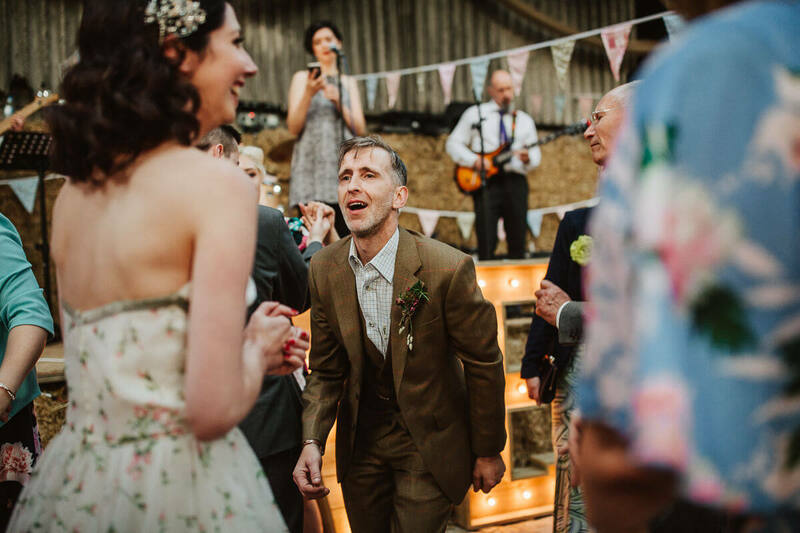 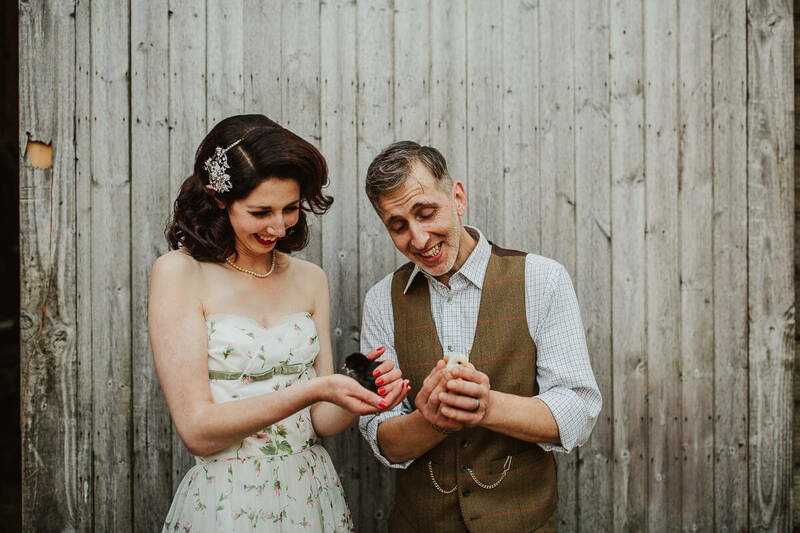 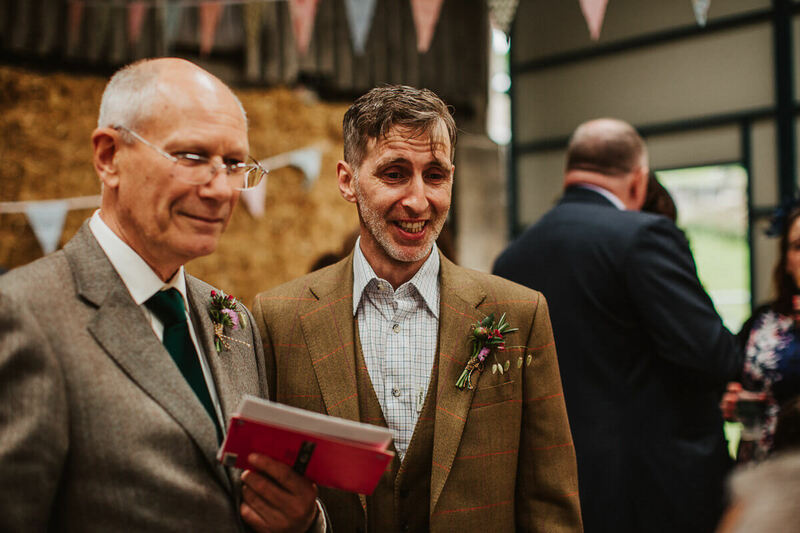 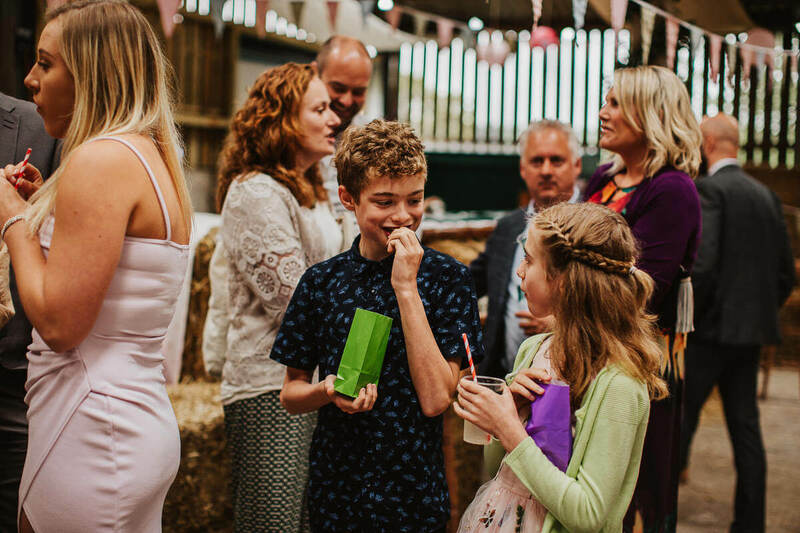 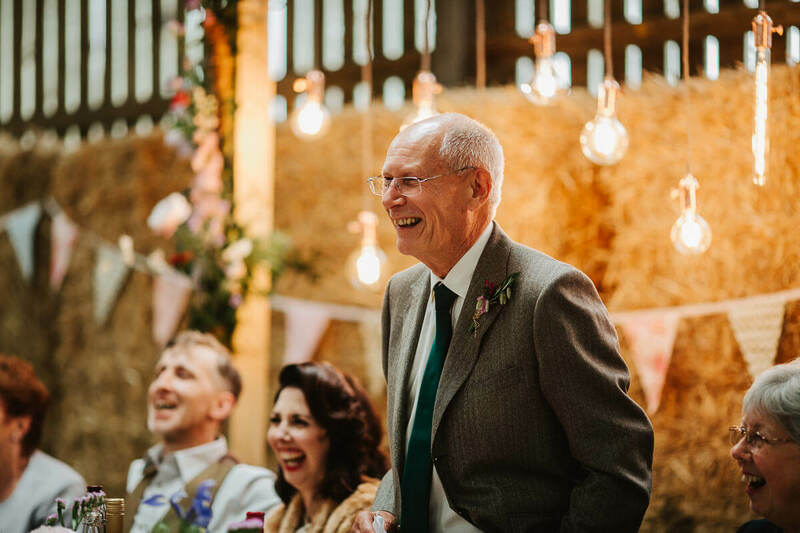 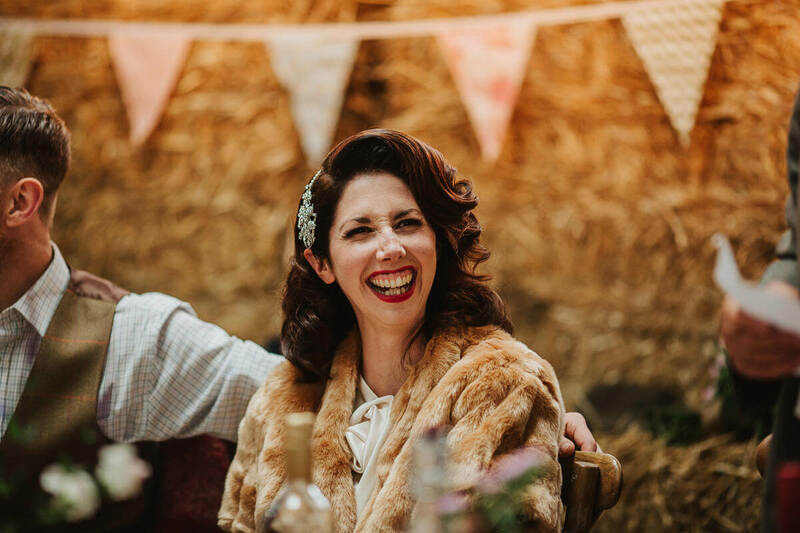 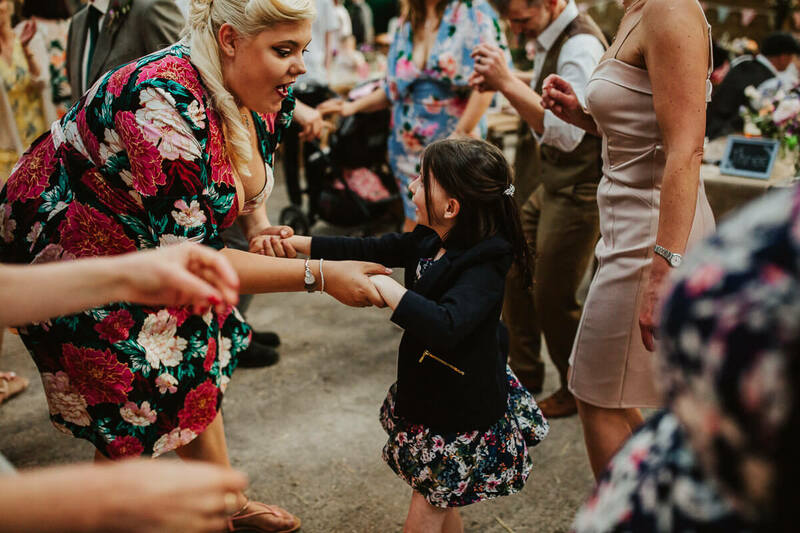 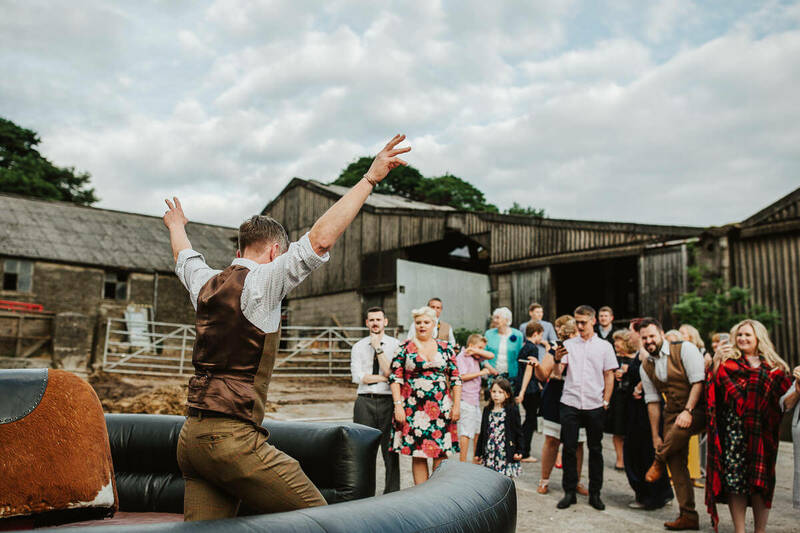 Caroline & Jason threw one hell of a knees up for their Thornsett Fields Farm wedding this summer. 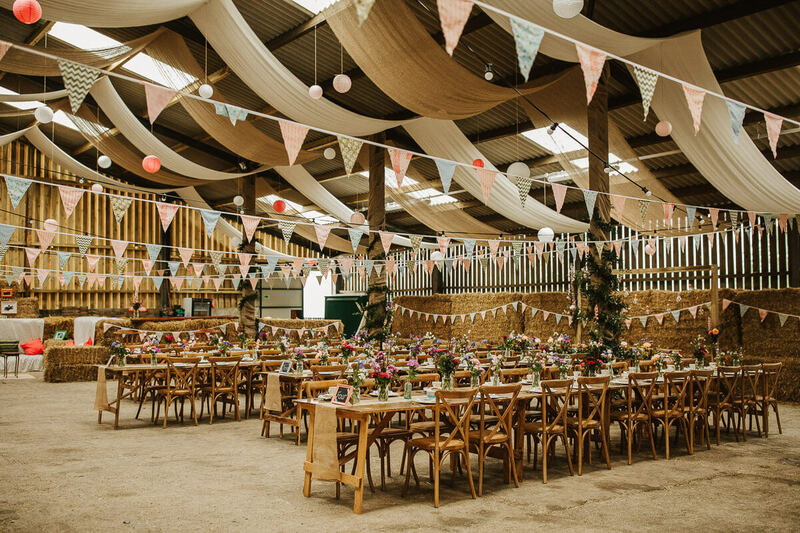 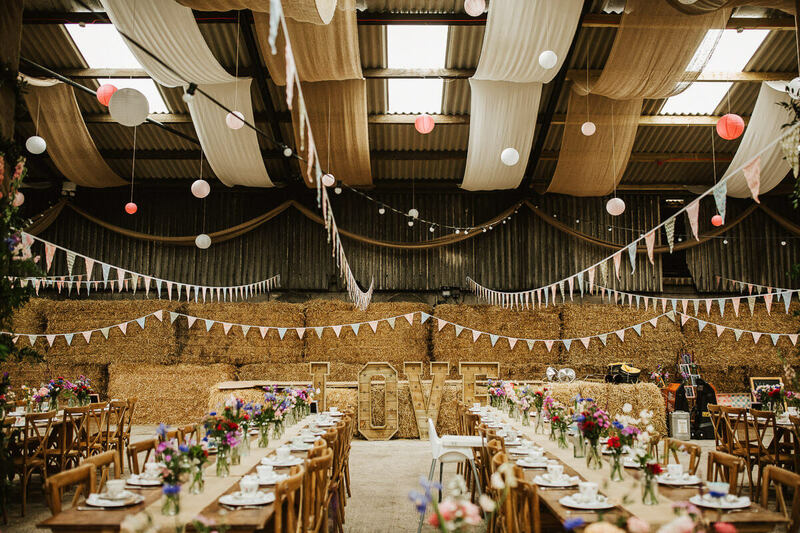 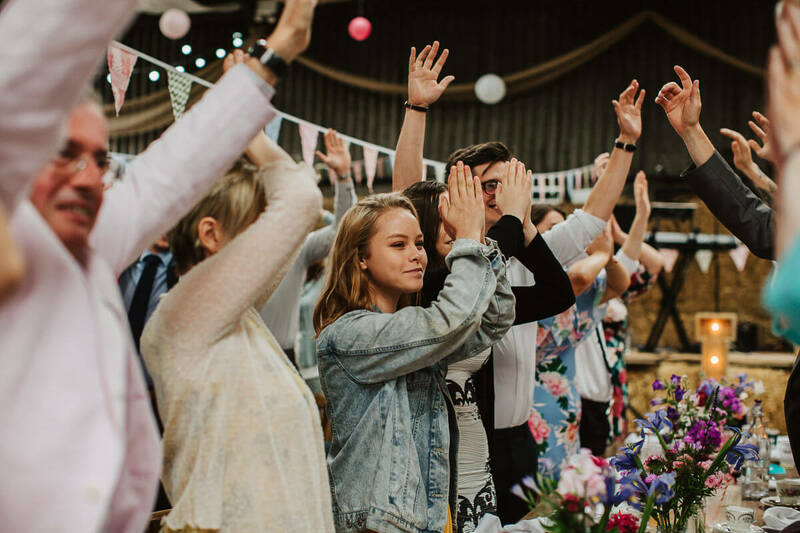 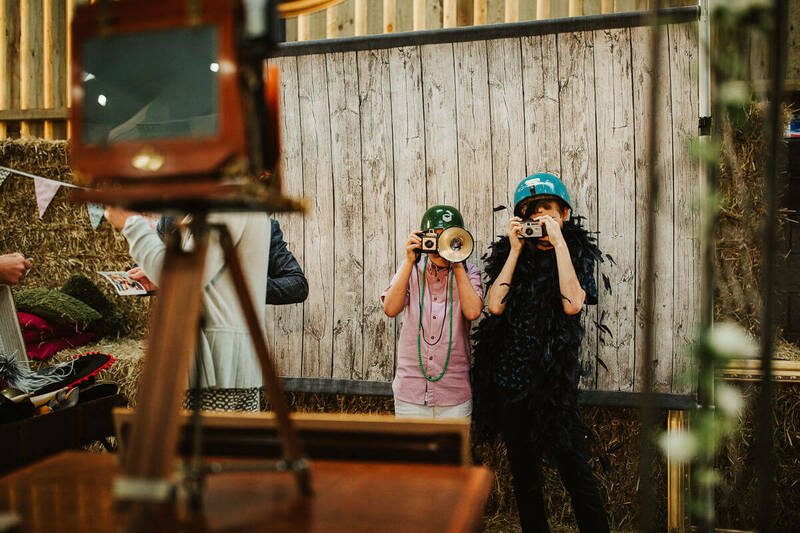 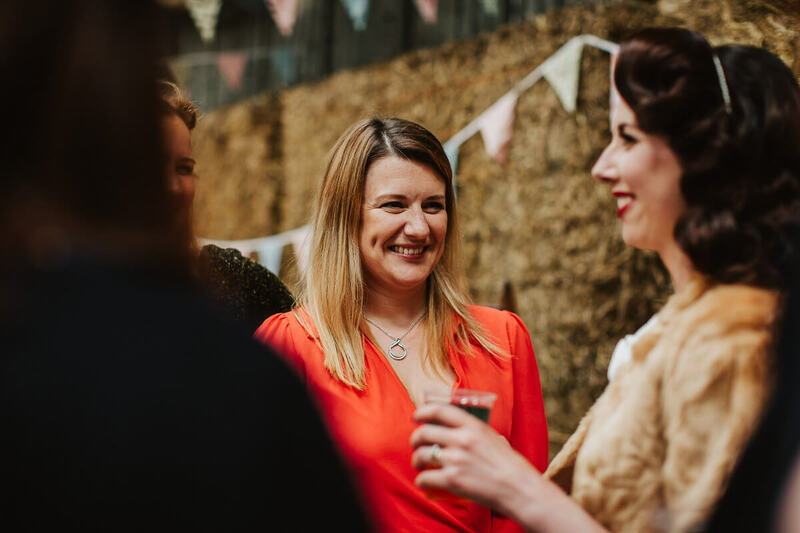 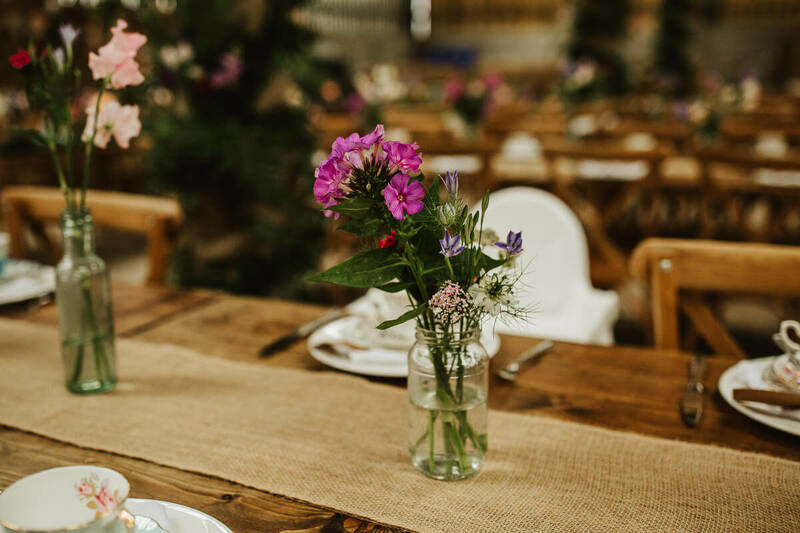 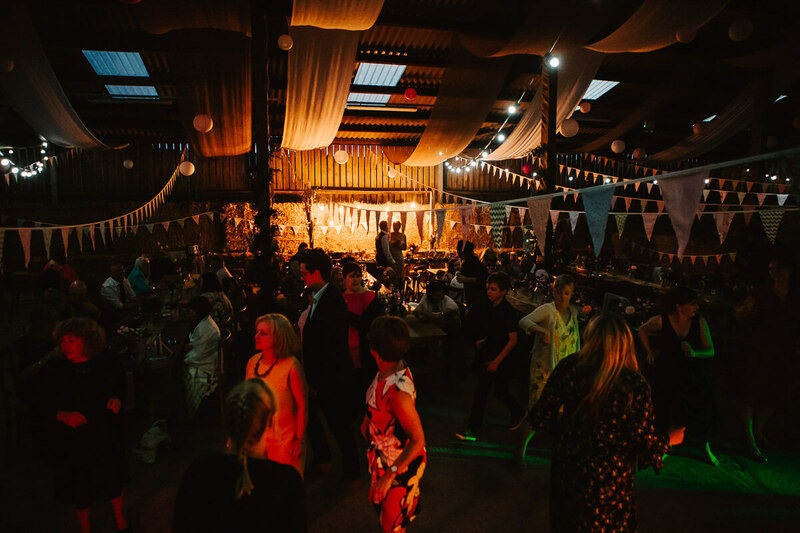 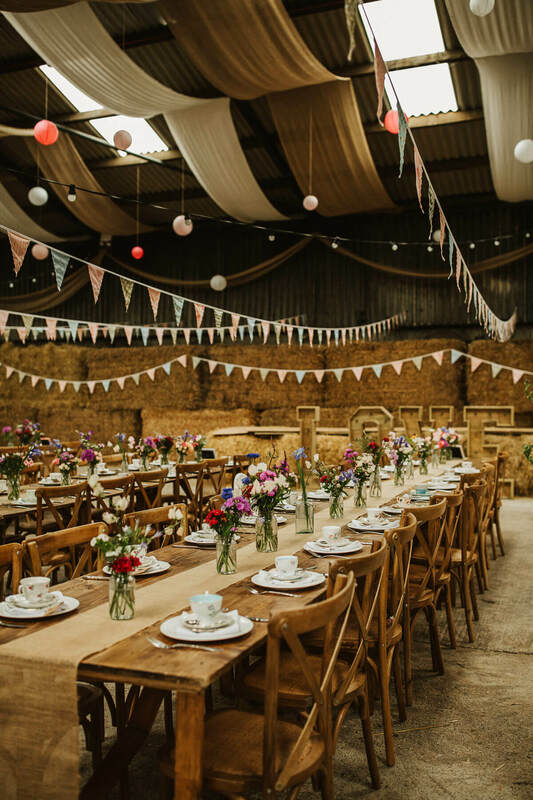 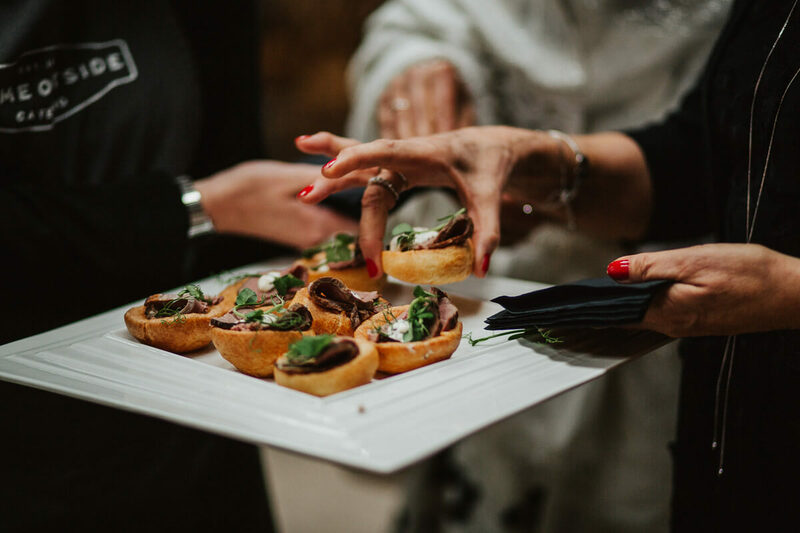 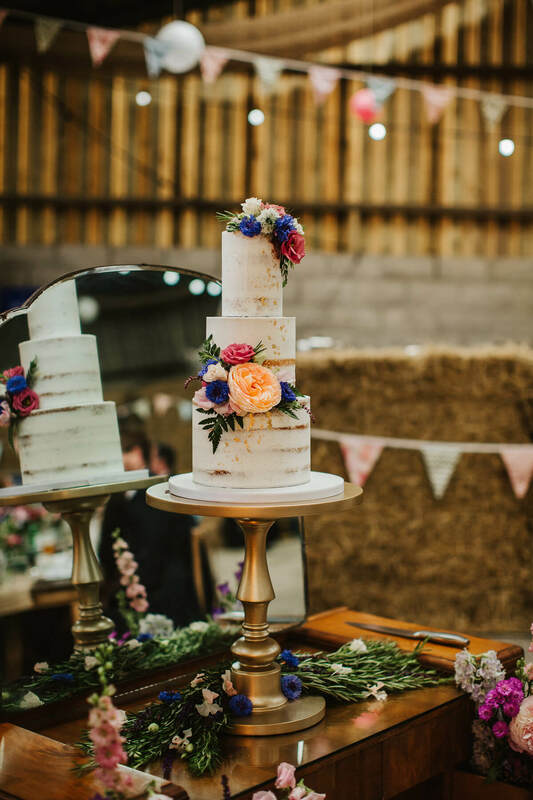 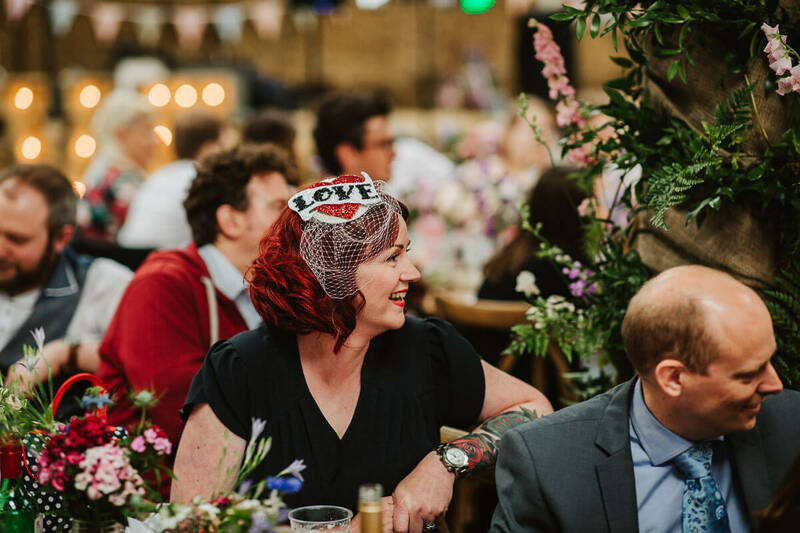 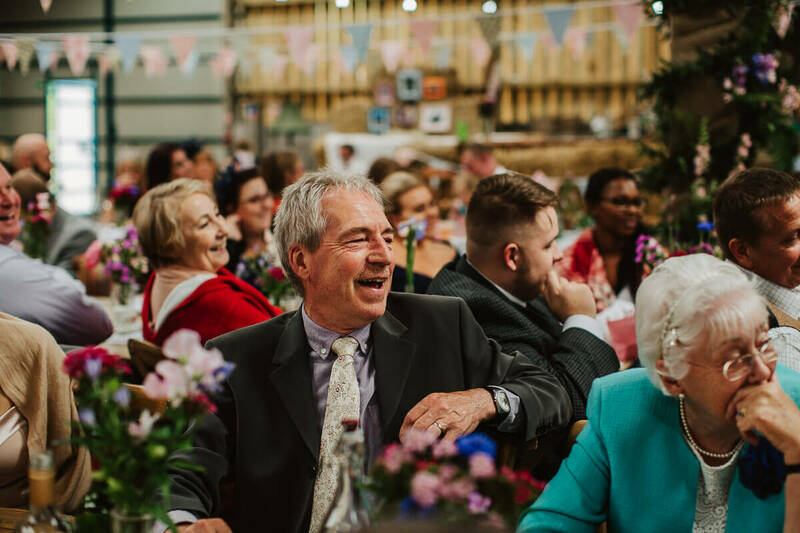 Lots of floral details, a bucking bronco and a brilliant evening party in the barn. 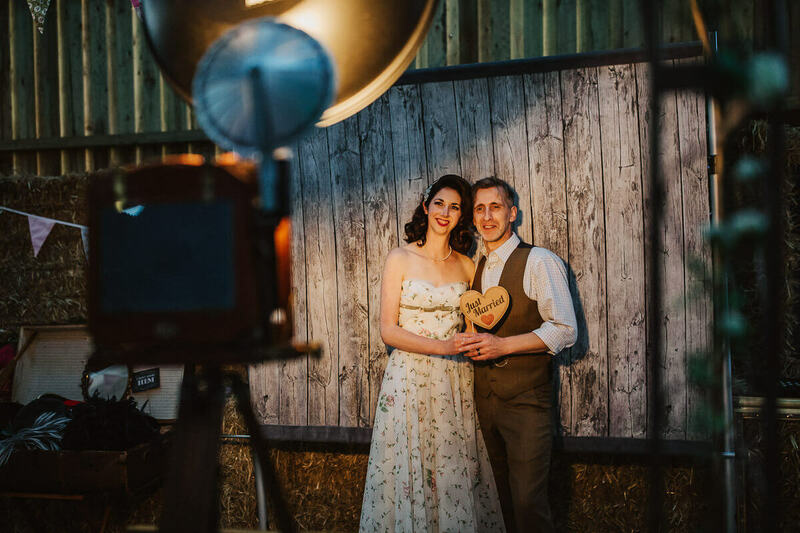 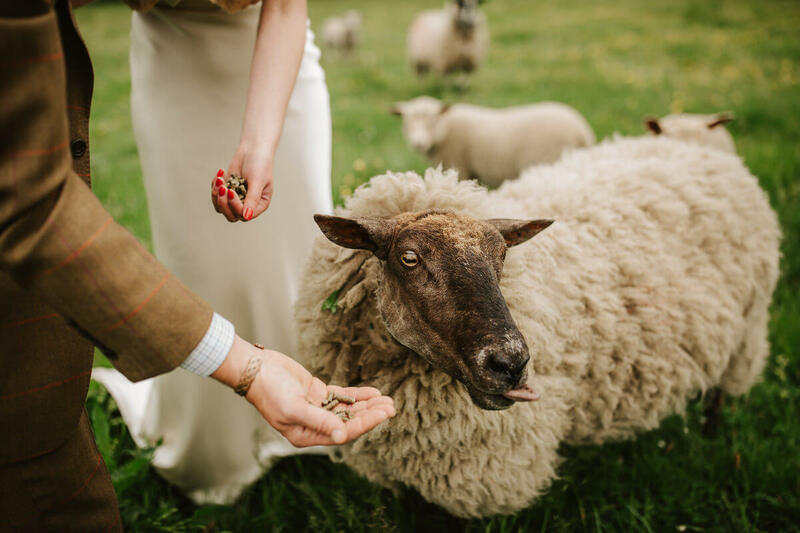 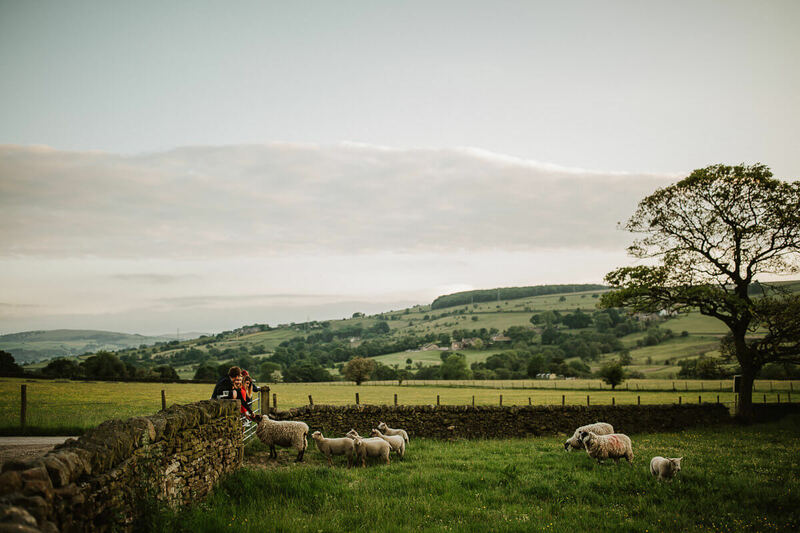 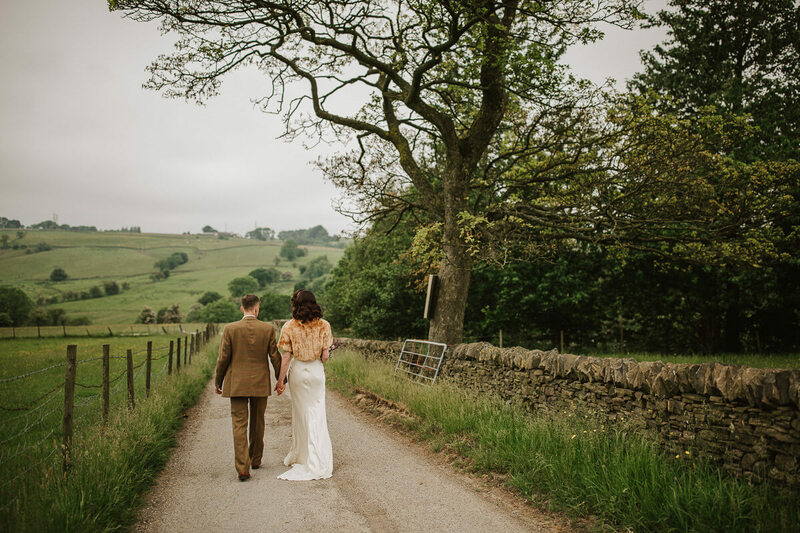 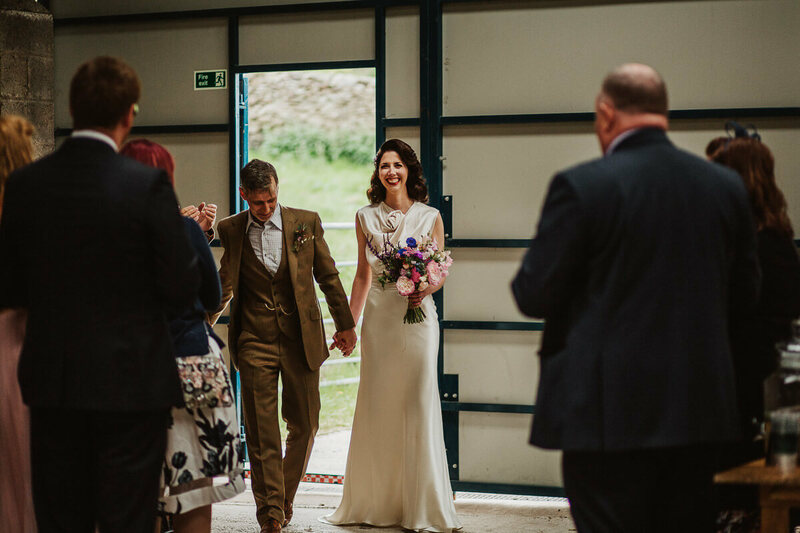 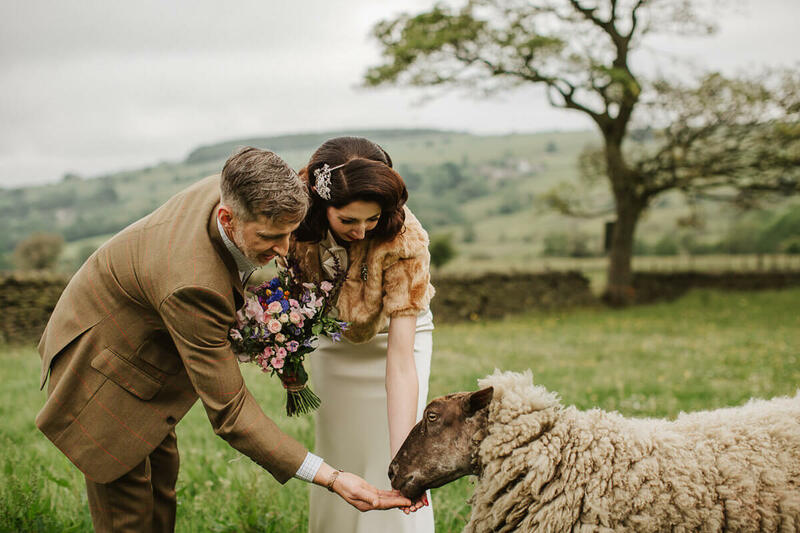 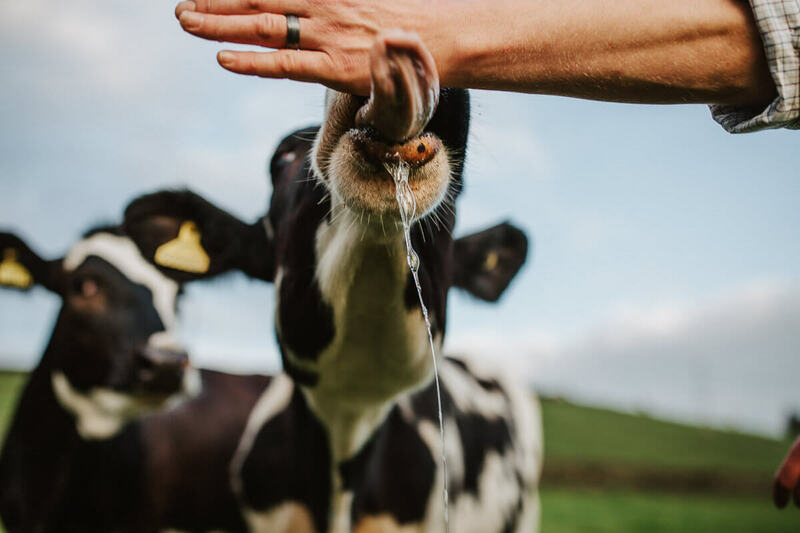 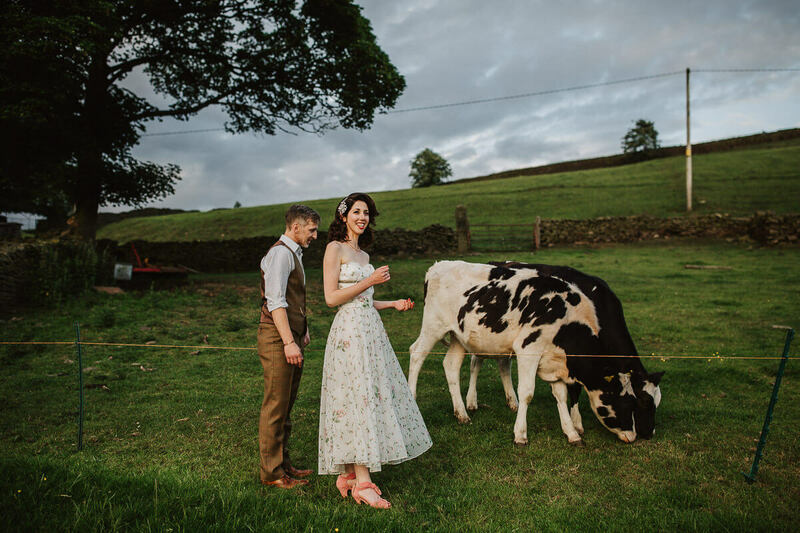 Held on a working farm surrounding the fields of grazing sheep and cows, these two decided it was the perfect setting to host their big day. 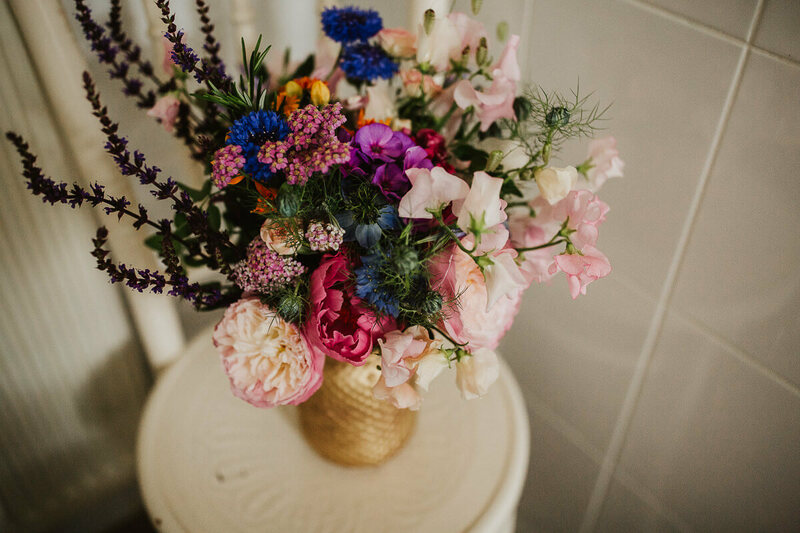 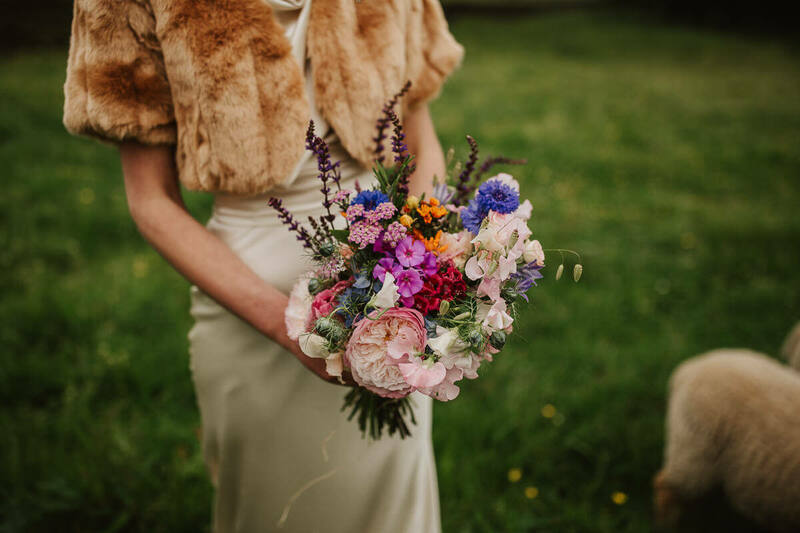 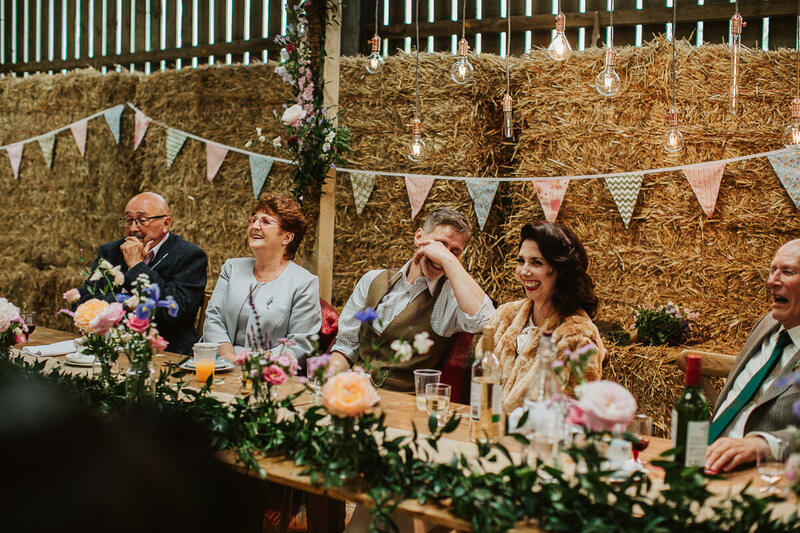 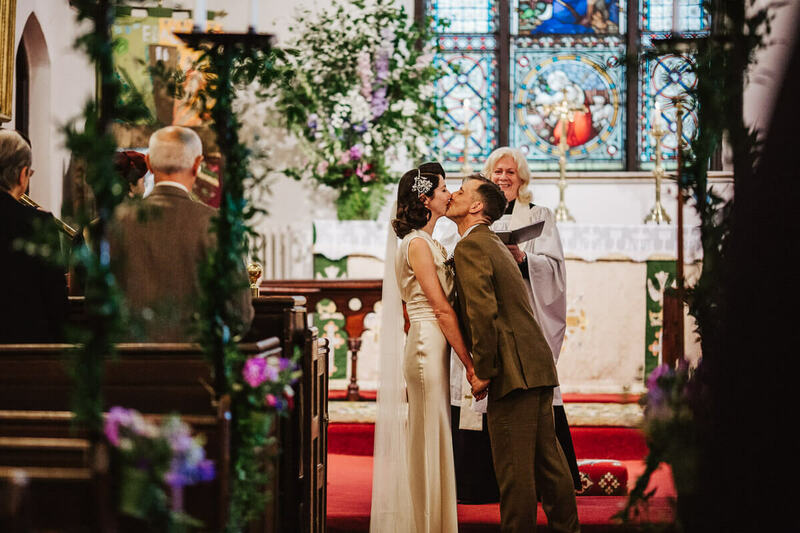 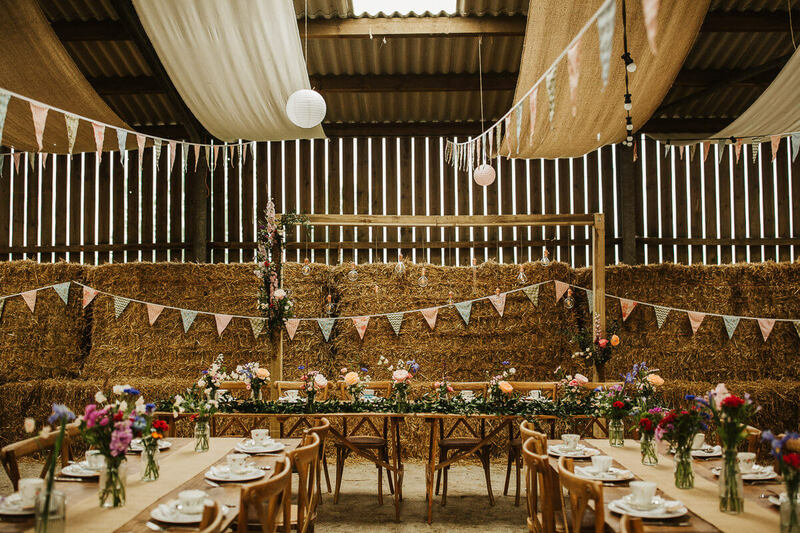 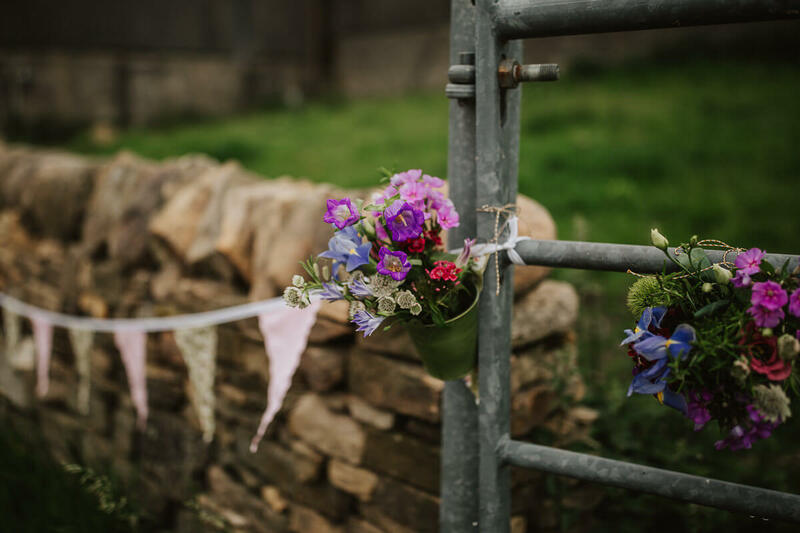 Caroline’s vision came to life with an arrangement of colourful flowers from Fletcher Foley that decorated the barn. 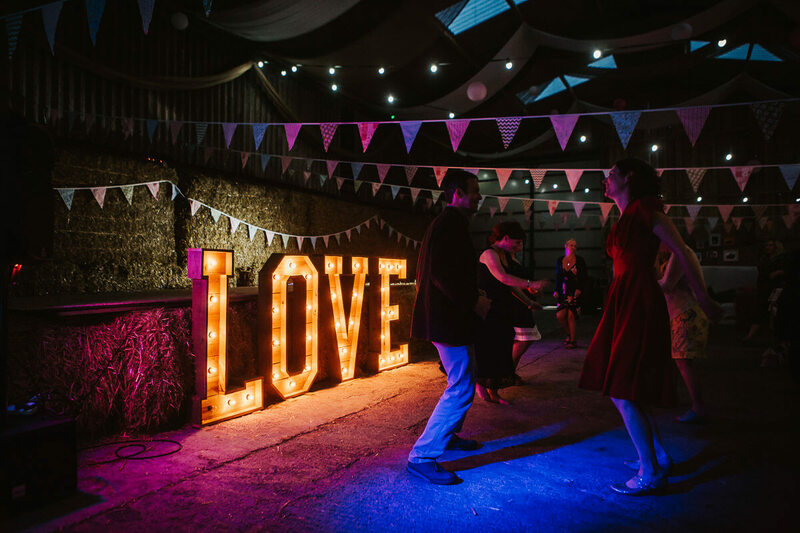 Their top table was framed by vintage lighting from The Word is Love whose light up wooden letters also made a spectacular focus on the dance floor. 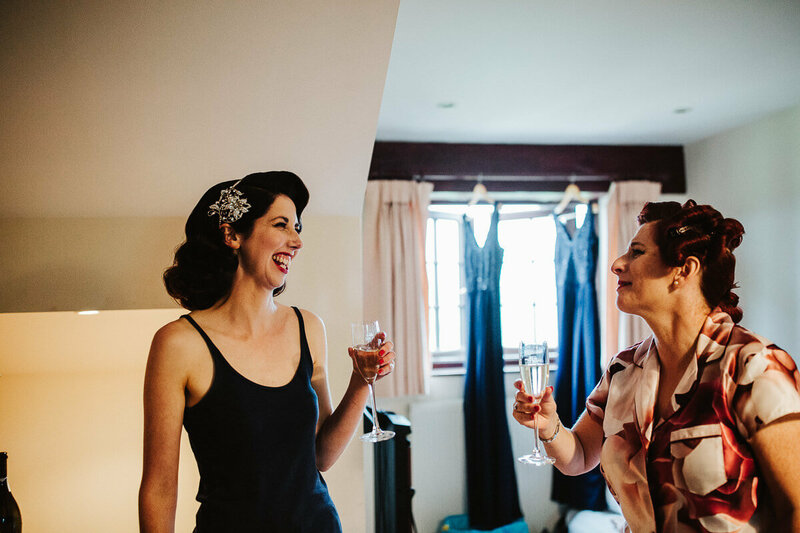 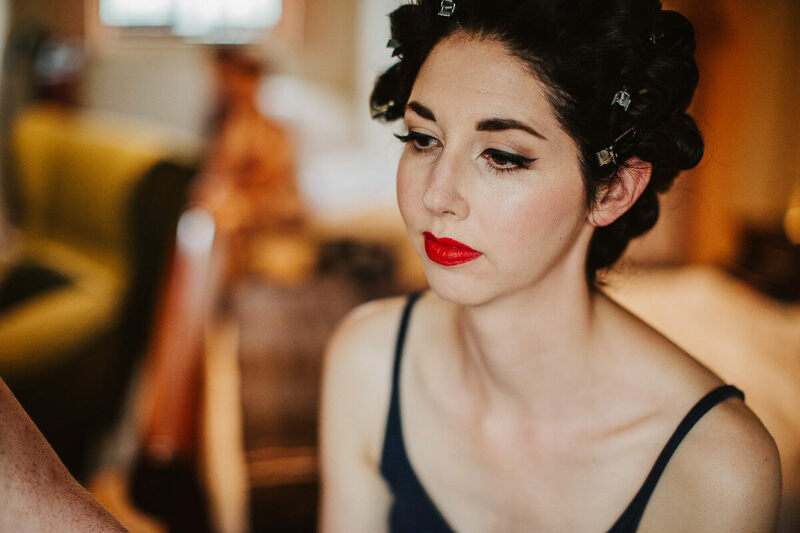 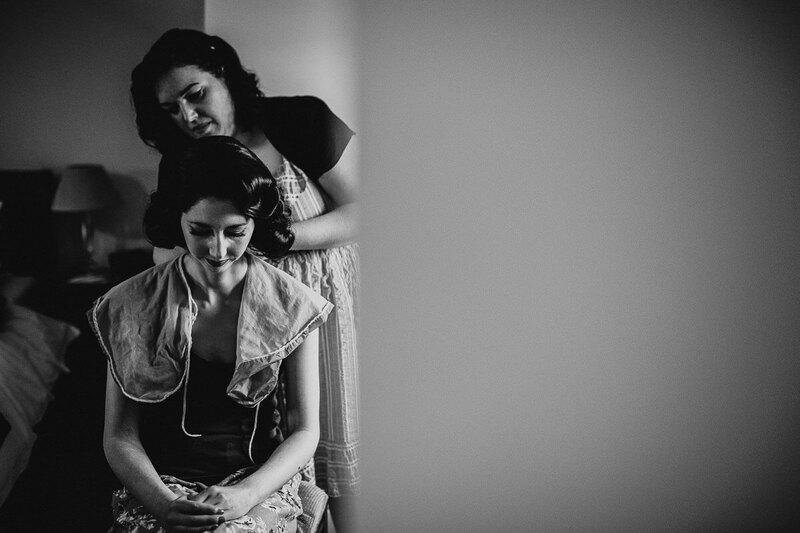 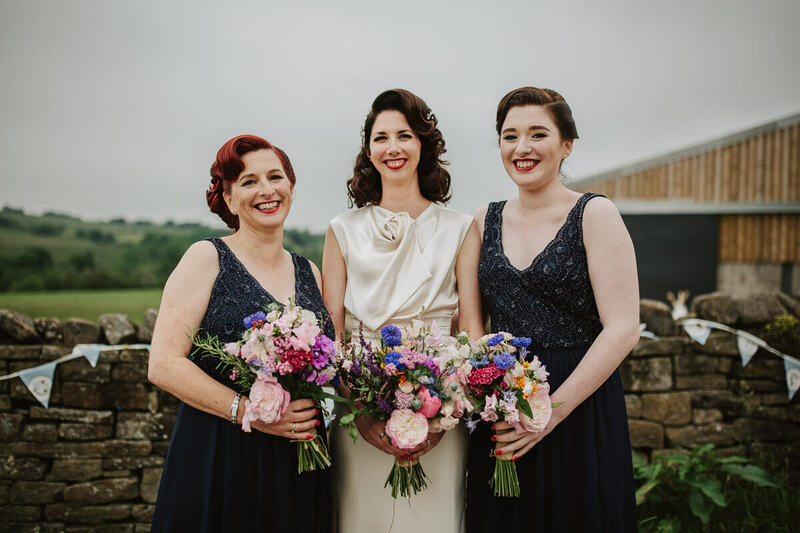 Bethany of The Vintage Beauty Parlour gave Caroline the ultimate Hollywood makeover. 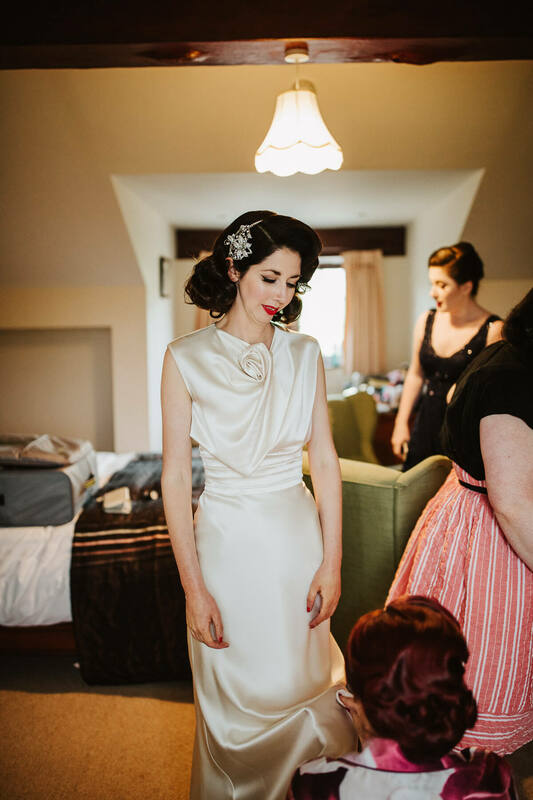 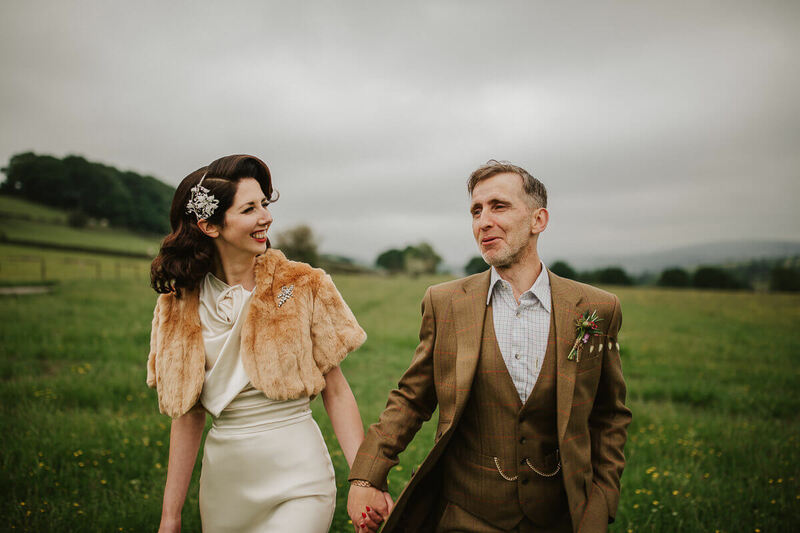 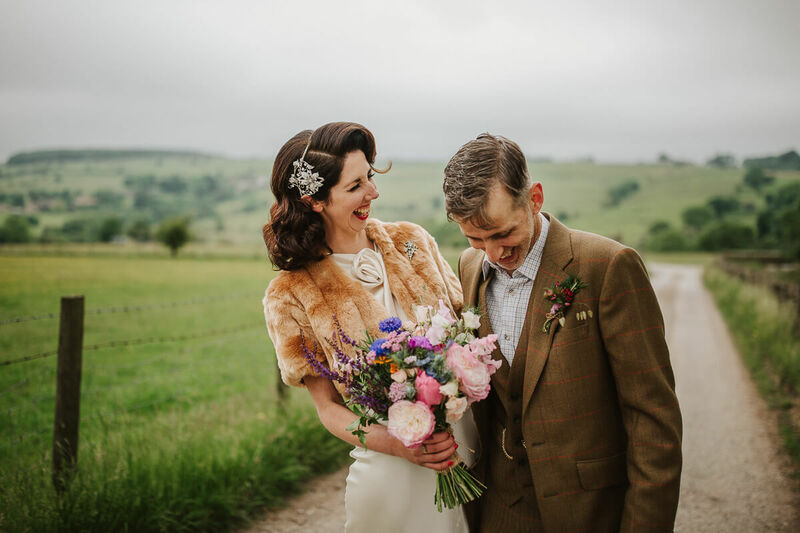 She looked amazing in her David Fielden Dress which complemented her vintage hair and makeup. 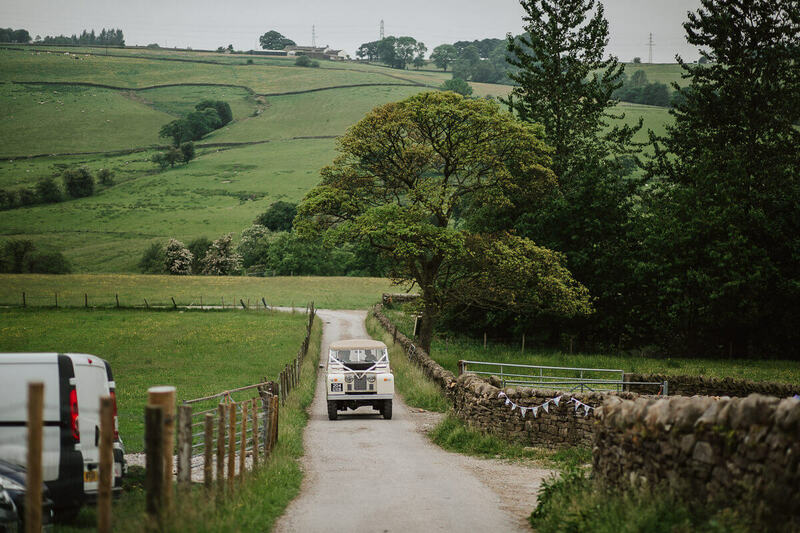 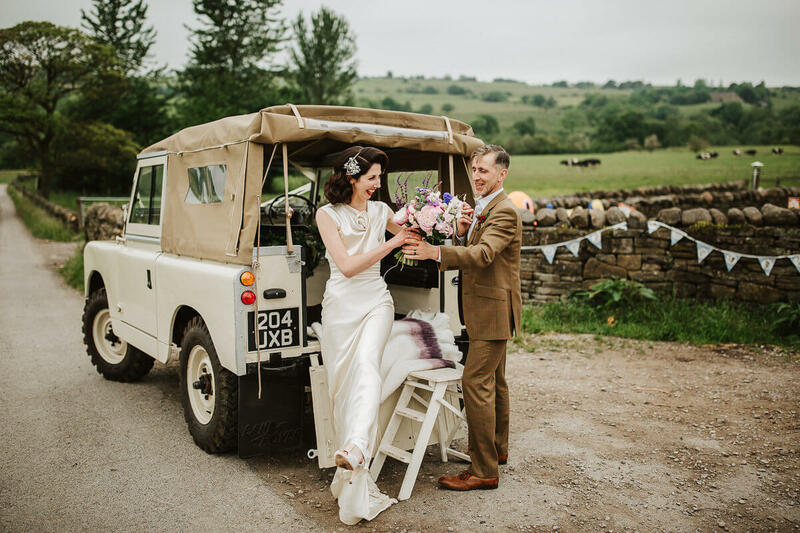 After the ceremony, the couple arrived to their reception in style in a white land rover and joined their guests for drinks and ice cream. 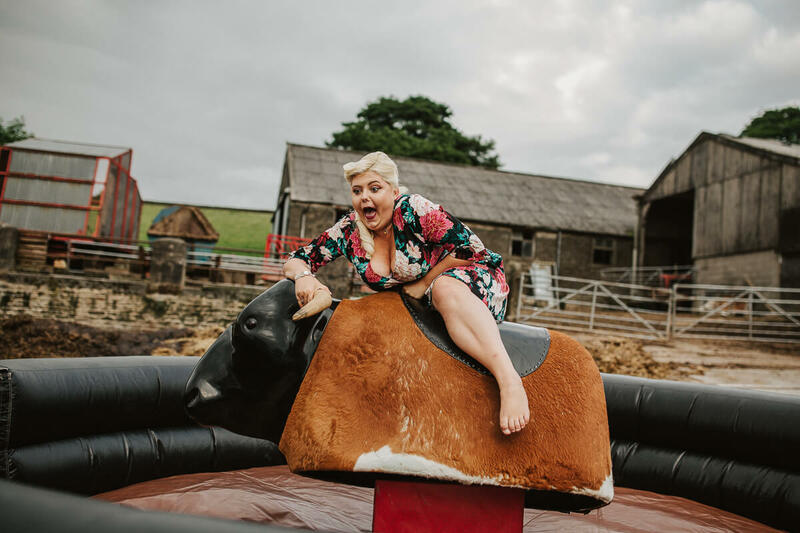 They had even hired a bucking bronco as the entertainment which was hilarious to see guests taking turns and made some fab photos. 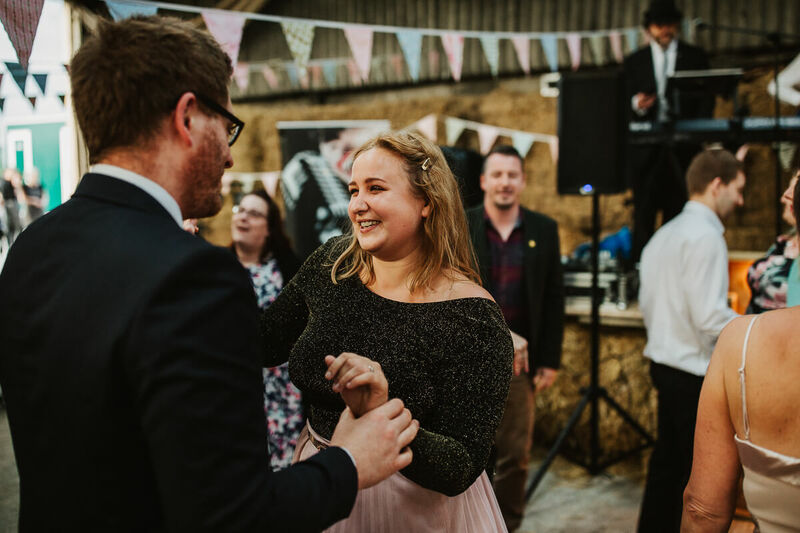 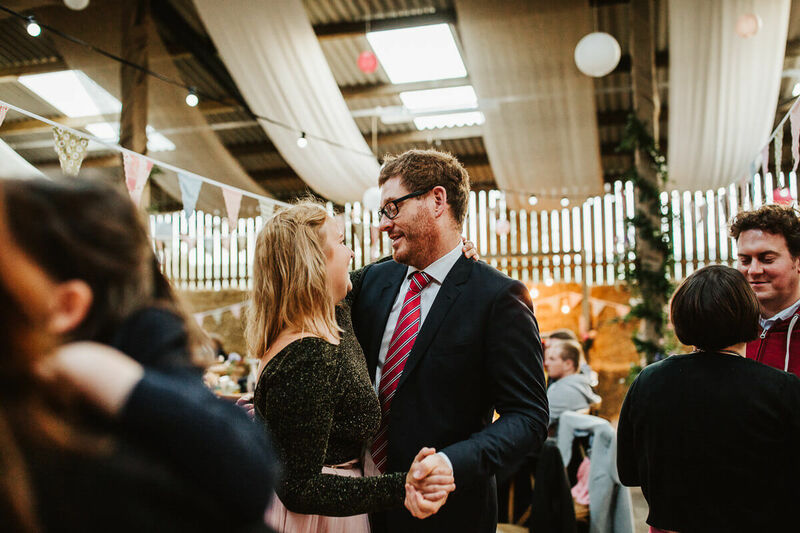 Their evening began with a lovely first dance as The Rumour Mill made sure everyone was up on the dance floor to join in the party and throw their best moves. 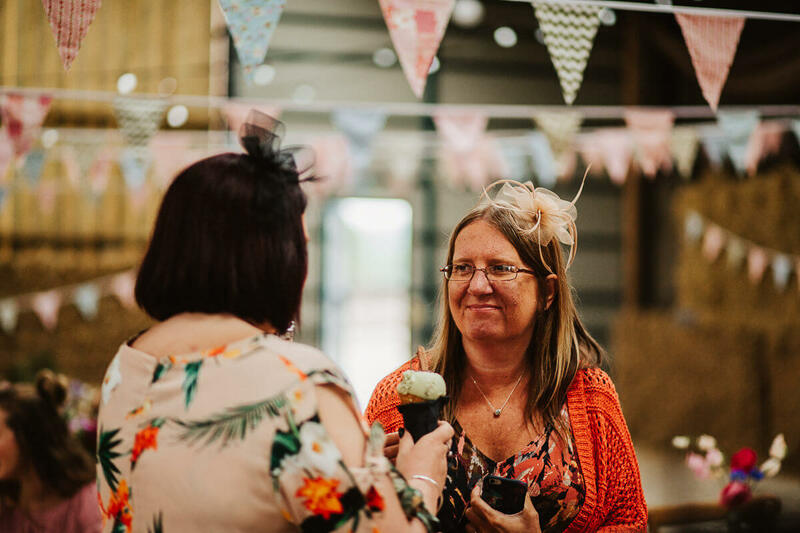 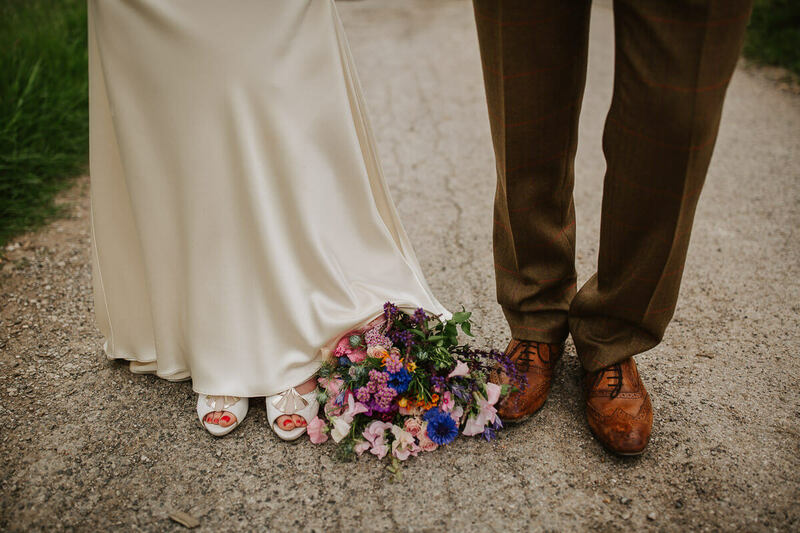 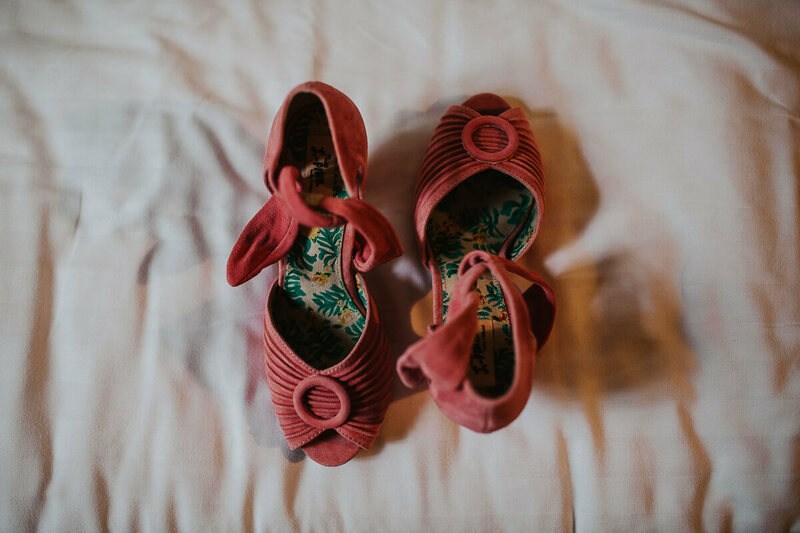 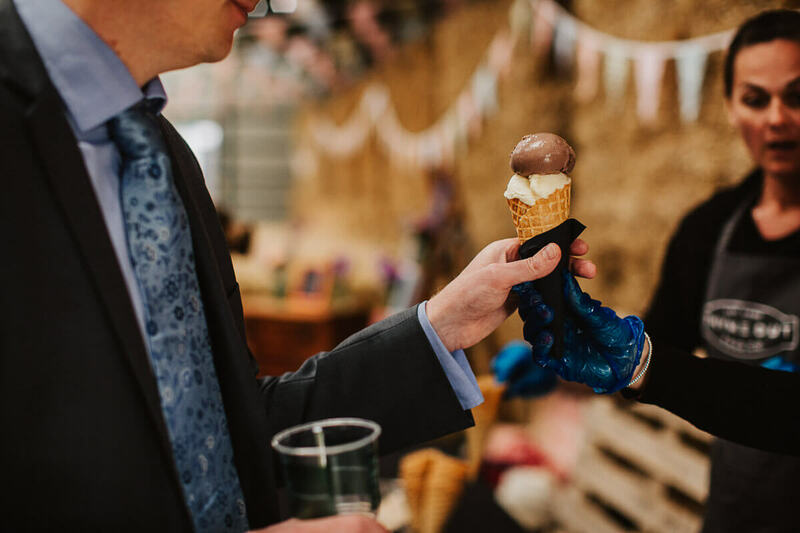 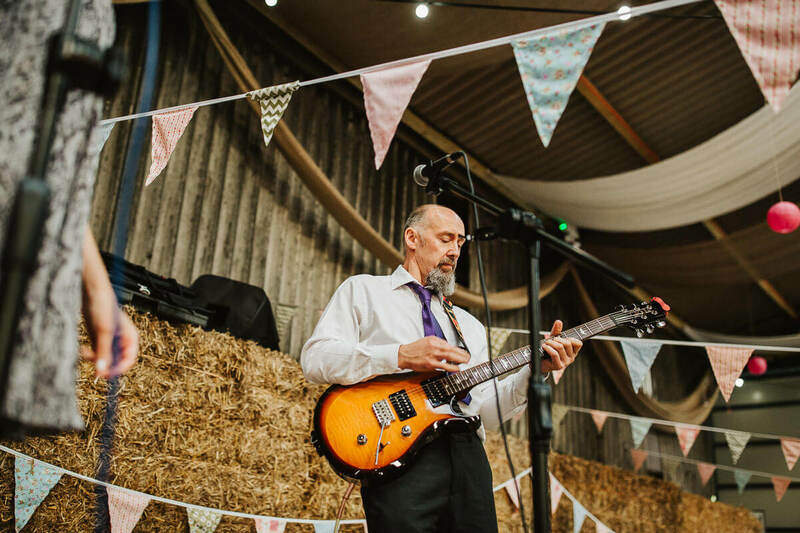 It was such a brilliant way to end their Thornsett Fields farm wedding.. although I may have returned home with a few surprises on my shoes! 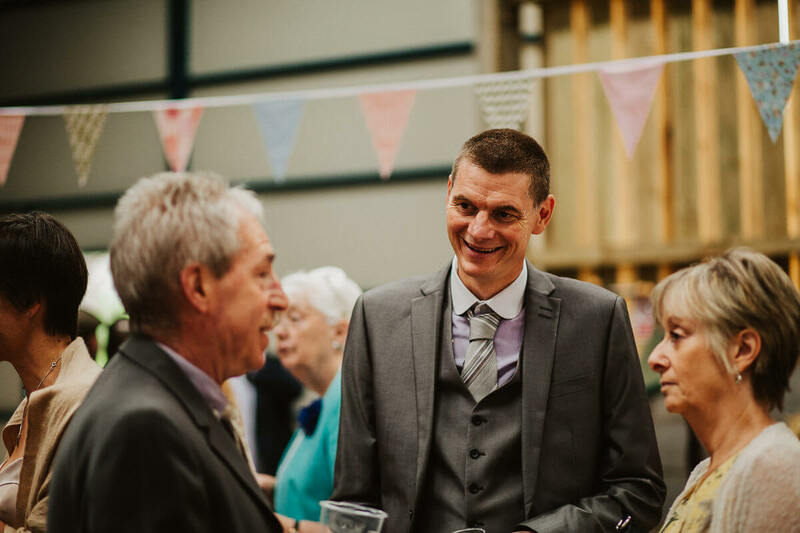 😀 Here are some of my favourites..